Posted by Ron Neal on Thursday, March 7th, 2019 at 3:09pm. All owners of residential property in the designated taxable regions of B.C. must complete an annual declaration. Over 99% of British Columbians are estimated to be exempt from the tax. To claim your exemption, you must register your property by March 31, 2019 – and it’s easy to do, either by phone or online. The information you’ll need to register your property declaration will be mailed by mid-February to all owners of residential property within the taxable regions. Contact us if you’re expecting a declaration letter from us and haven’t received one by late February. Please note that if your property has more than one owner, even if the other owner is your spouse, a separate declaration must be made for each owner. 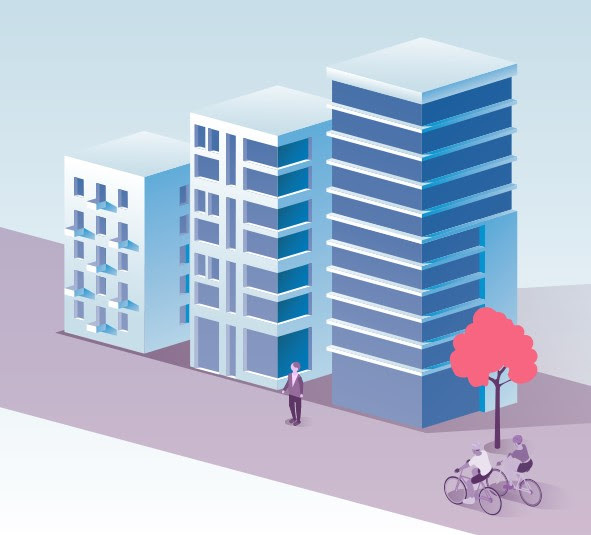 The speculation and vacancy tax rate varies depending on the owner’s tax residency and whether the owner is a Canadian citizen or permanent resident of Canada, or a member of a satellite family. By levying the highest tax rate on foreign owners and satellite families (those who earn a majority of income outside the province and pay little to no income tax in B.C. ), the speculation and vacancy tax is a way to make sure these property owners are paying their fair share in taxes. The speculation and vacancy tax applies based on ownership as of December 31 each year. Did you know it only takes a few minutes to complete your declaration online? It’s faster than calling and we make sure your information is safe and secure. All residential property owners in the designated taxable regions must complete an annual declaration for the speculation and vacancy tax. Where there are multiple owners of a home, a declaration must be completed by each owner, including spouses. 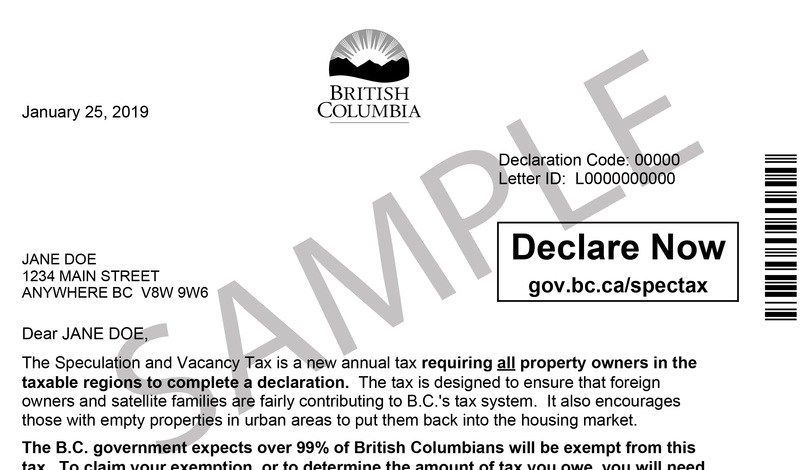 If you own residential property in a designated taxable region on December 31, the Province will send you a speculation and vacancy tax declaration letter in the mail by mid-February. Contact us if you’re expecting a declaration letter from us and haven’t received one by late February. If you need to update your mailing address, please contact BC Assessment to do so. If you’re a corporation, you’ll need your incorporation number (e.g. BC123456789). If you’re declaring online and your incorporation number is fewer than 9 digits, add zeros after “BC” until you have 9 digits (e.g. BC001234567). The speculation and vacancy tax rate varies depending on the owner’s tax residency. In addition, the tax rate varies based on whether the owner is a Canadian citizen or permanent resident of Canada, or a satellite family. A speculation and vacancy tax year is the same as a calendar year. Tax levied on December 31 is due the following July. For example, for a property owned as of December 31, 2018, the 2018 tax rate of 0.5% applies and the tax is due on July 2, 2019.